The holidays typically leave you with at least two things: leftover fruit cakes and high interest debt. There is a better way though. We can transfer your debt to a home equity loan at a much lower interest rate, allowing you to pay off your debt faster and save money, without increasing your monthly payments. Find out how... The holidays are many people's favourite time of year in Canada, but all that holly and jolly doesn't come cheap. 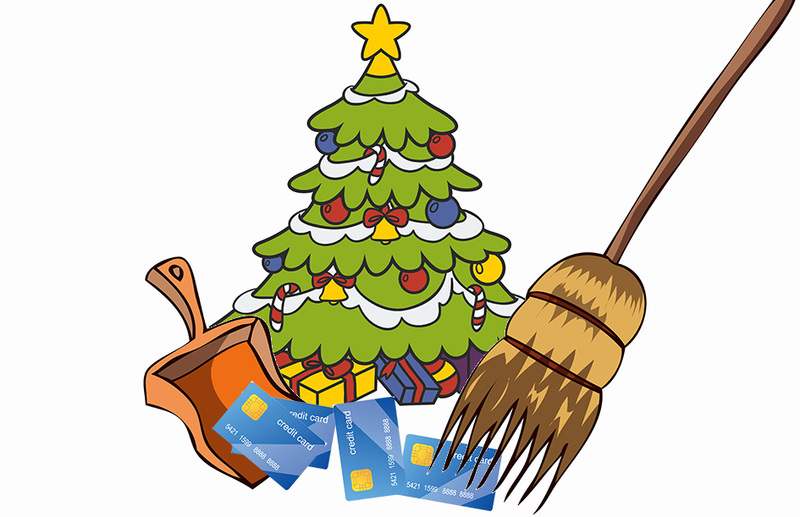 Between the food, the drinks, the gifts and the travelling, it all adds up quickly - with the average Canadian spending over $1,800 this year and one-in-four are using their credit cards. What's more is that 3 out of five adults don't save up throughout the year to pay for Christmas expenditures. That mean they are likely putting the holidays on their credit card. We don't generally recommend this option, as credit cards charge extremely high interest rates. However, if your holiday purchases are the only thing on your credit card and you don't have a very high balance, this might be best for you. Credit card debt represents the highest interest rates you can be stuck with. It is fine and dandy for small amounts, but is a terrible way to carry sizable debt. If you have sizable debts, you should consider a home equity loan for debt consolidation. Home equity loans carry much lower interest rates, allowing you to pay off your debt years sooner. 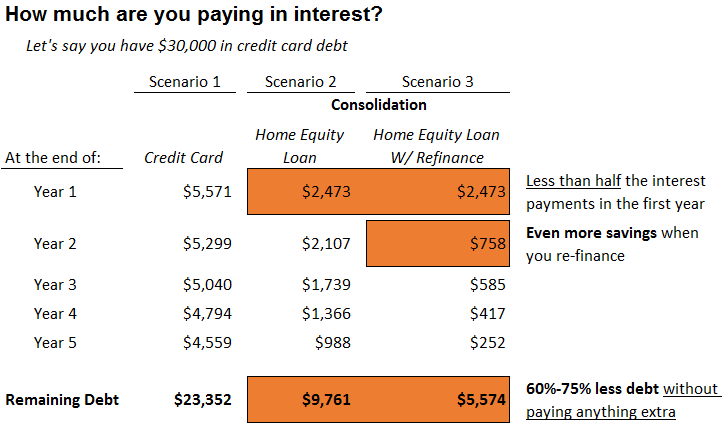 The chart below highlights the differences between credit cards and a home equity loan. Okay,I'm Interested, How Do I Find Out More? Curious how much you can save? We offer free, customized debt consolidation options reports that describe how much you can save per year. If you want to know how our debt consolidation process works, just click here for an easy walk-through. If you would like free, educational content on the subject of debt consolidation delivered to your email, you can sign-up here. You are free to unsubscribe at any time. Of course, if you are sold on the idea, you can apply now. You are not under any obligation and will receive no charges, fees, etc.